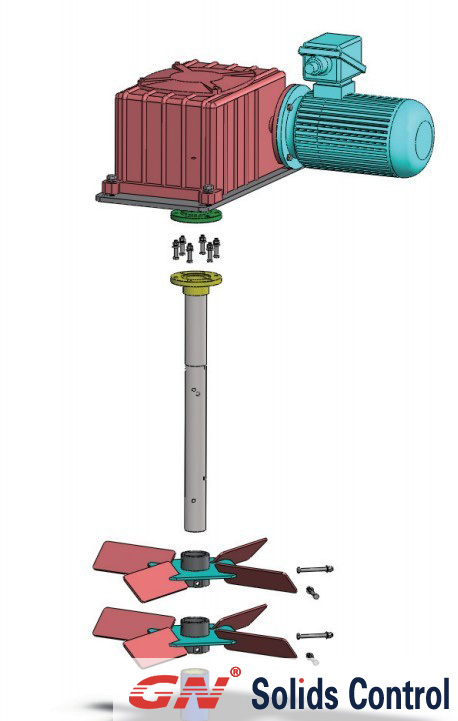 1 Project description：Purchase mud agitator for Rig NH9 to mud system. 2 Amount: mud agitator with electrical motor：5 SETs. 3 Installation for use position and application：mud pit. 4) According to the operation state of mud and mud pit size, the contractor needs to calculate the power of mud agitator and the motor to meet the aforementioned requirements, and it should meet requirements to prevent mud deposition, the contractor need to provide the agitator detail calculation report that meet the actual operation to rig before purchasing agitators. 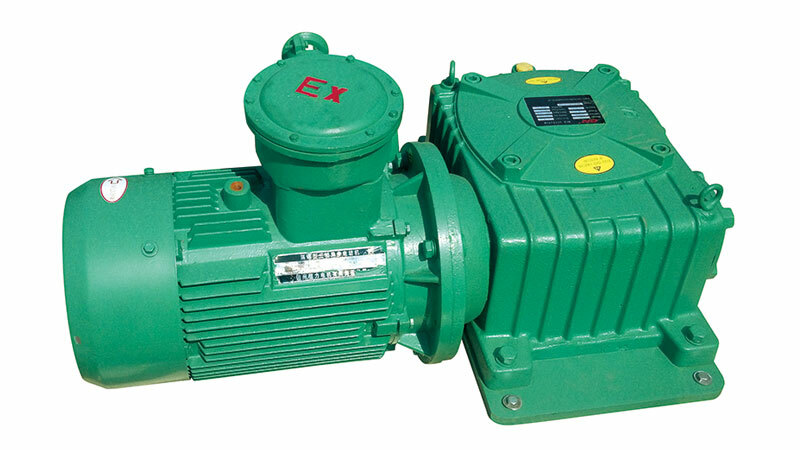 The Electric Motor:：AC460V, 60Hz; 3ph, 1800RPM, enclosure: FCXP, Severe IP55 Protection. Motors are squirrel caged with class ‘F’ insulation. Classification: NEC/UL Class I Div I Gr C&D. Low shear, High Pumping, Axial flow Impellers. Gearbox: AGMA Quality 11 (ISO Grade 6). Lubricate: Oil. Gearbox rpm: 45, clockwise rotation w/shaft and impellers in CS material and resist the corrosion of mud. Bearing life more than 200,000 hours. Gear box: c/w splash lube system. Designed for fluid: ≥SG2.40 and Viscosity: 400cP. 6) Related Accessories Configuration: N/A. 7) Other Requirement: One year guarantee period. 8) Requirements for Interface Connected: According to product standard. Practice On Drilling Fluids Processing Systems Evaluation(current edition). 11) Documental Material Requirement: Equipment operation and maintenance manuals, Parts list. One original and four hard copies, two electronic editions. Mud agitator OEM’S certificate, 1set. USA Solids Control system of GN america company is for on-site treatment and removal of waste water-based mud slurry ultrafine solid development of skid-mounted physico-chemical treatment systems. 10 µg of mechanical separation of slurry separation of solid particles is very difficult, especially for about 2 μg of colloidal particles (low specific gravity solid-phase) can do about it. Whether on land or at sea, in waste management operations, treatment of waste mud face two issues: one is to reduce the volume of waste and subsequent processing costs, the other a recovery based liquid to achieve recycling. USA Solids Control system is necessary. Chemical treatment methods can make solid-free (clarification) water recovery from failure of drilling fluids, isolate and low rate of liquid-solid phase for further processing, these solid-state weight and volume than the original expiration of the mud becomes negligible, transfer and further processing costs are also much lower. In environmentally sensitive and water-poor regions in drilling operations, use of slurry dewatering system will bring about many benefits, and regulatory and economic considerations are almost essential. The solids Control system for colloids or close to the colloidal particles, and factors that contributed to the solid phase precipitation is far from overcoming fluid relative to its suspension. Chemical treatment methods can change characteristics of mud, so that most of the suspended particles can be separated by mechanical methods. Centrifuge feed stream of appropriate chemical (flocculation and other reagents) enables colloidal particles aggregation formation of floccules, resulting in slow precipitation under the action of gravity or centrifugal force. This principle has been widely applied in sewage treatment and other practice, but the nature of the solid-liquid system of mud and sewage are very different and, therefore, chemical reagents selection and isolation of structures are very different. 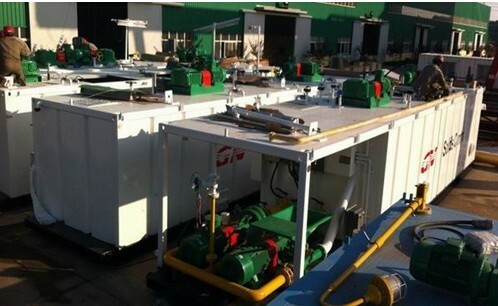 Drilling fluid solids control system is an important part of modern drilling. Drilling fluid solids control system is to ensure that the normal circulation of drilling mud in the process of drilling and stable performance of the important equipment, drilling fluid solids control The solid control system The solid control system System is mainly composed of mud tank, vibrating screen, vacuum degasser, desanding cleaner, silt cleaner, mixer, centrifuger, the funnel of mud gun, mixed, the sand pump, mud agitator, increase the pump, shear pumps, etc. All levels of solids control equipment. Production, workover, drilling mud solid control system. Especially the workover rig with solid control system, developed by crown to solid control, substantial and durable, unique anti-corrosion technology, very suitable for workover treatment of actual production. This section contains a summary of WARNINGS. The ZCQ Degasser has been designed to perform the stated functions safely. All persons responsible for operation and maintenance of this equipment must read and understand all safety information in this manual prior to operating and/or maintaining the equipment. The safety warnings listed below are included in applicable procedures throughout this manual. and discharge connections, and electrical connections.